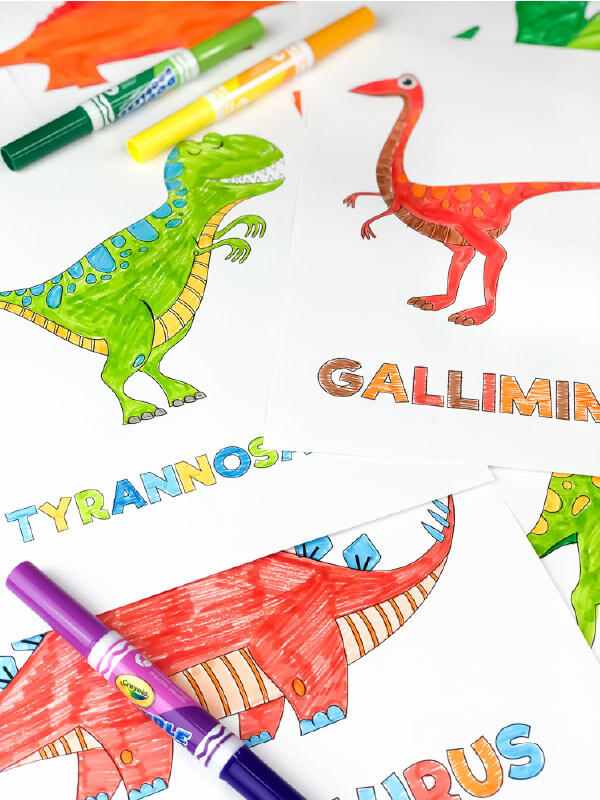 Inside: Use these printable dinosaur coloring pages for kids to keep them entertained and learning! Are you children or students in love with dinosaurs? 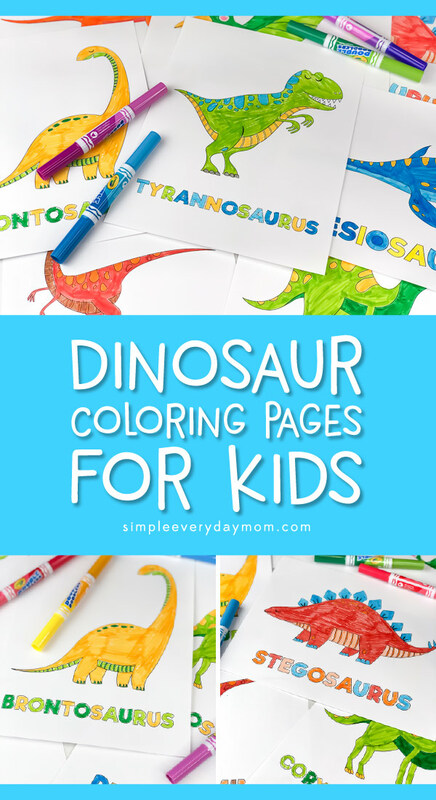 My boys certainly are and we can’t seem to make dinosaur activities fast enough to satisfy them! 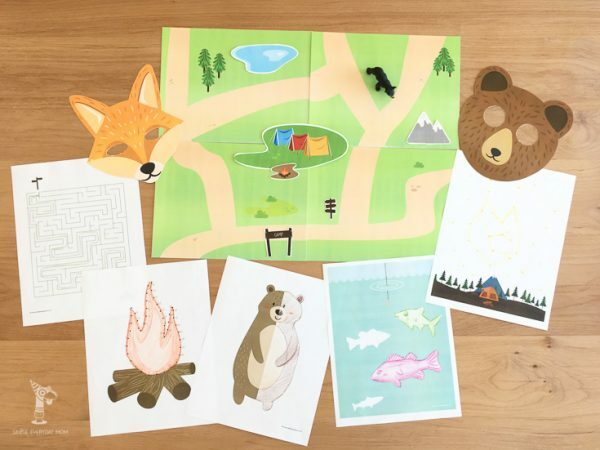 In the past, we’ve done several crafts and activities like this dinosaur handprint art or these dinosaur tangram puzzle mats. 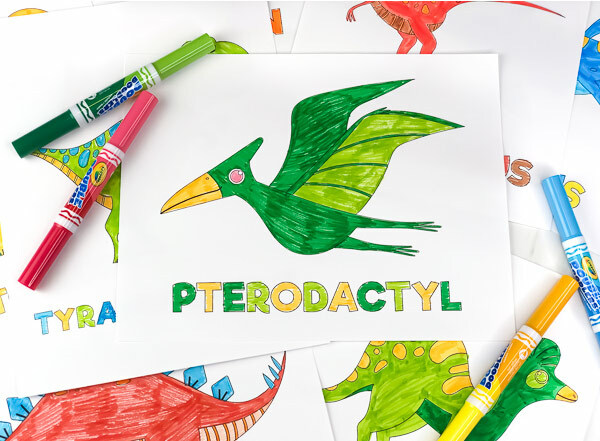 Today we’re sharing these simple and fun dinosaur coloring pages. If you don’t already know, we love coloring at our house. We’ve made tons of coloring pages from these space coloring pages, to these unicorn coloring pages to these Disney coloring pages and there’s so many more!!! 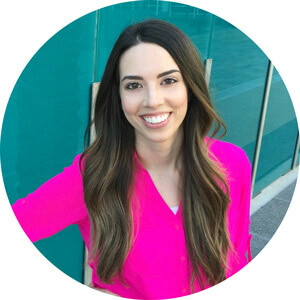 Coloring is just such an easy way to keep the kids away from the screens, engaging their creativity and working on necessary skills like fine motor development. 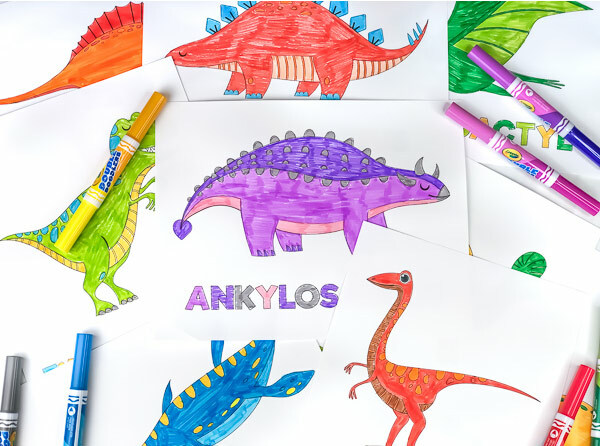 In this printable dinosaur coloring page pack, we’ve included 12 unique dinosaurs each with their own page and name written below for kids to color in. 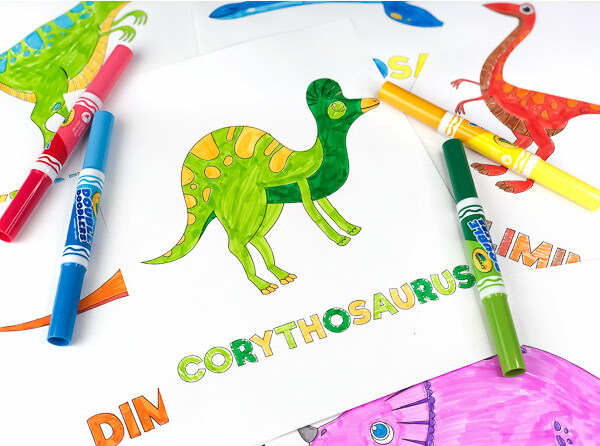 The great thing about these coloring pages is they can be used from toddlers to kindergarten and even elementary aged students. 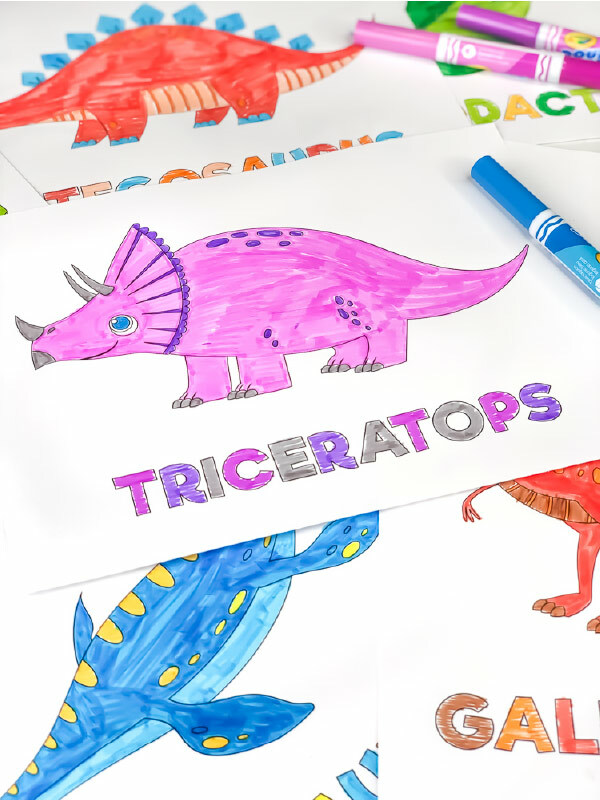 Young toddlers will have fun scribbling in these cute dinosaurs while kindergarten kids will start recognizing the more popular dinosaurs. 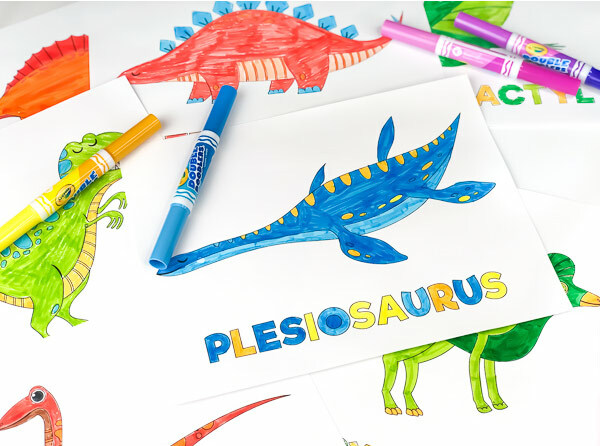 As the children gets older they can learn more about each dinosaur and what it looked like so they can color in these sheets just like the real ones! You can purchase the entire set below and download them instantly! 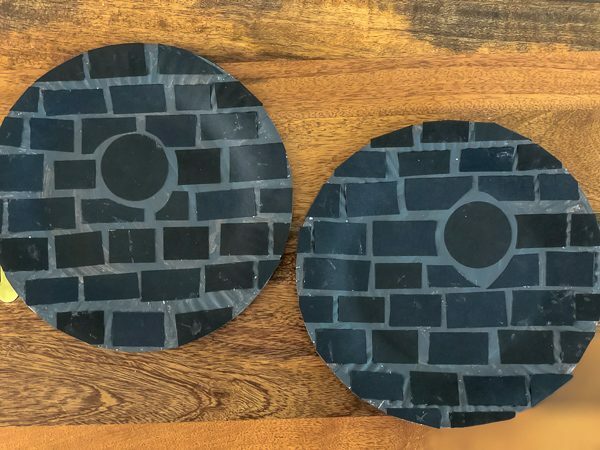 If you’d like to try them out first, you can also get two sample pages by entering your email in the form at the bottom of this post. 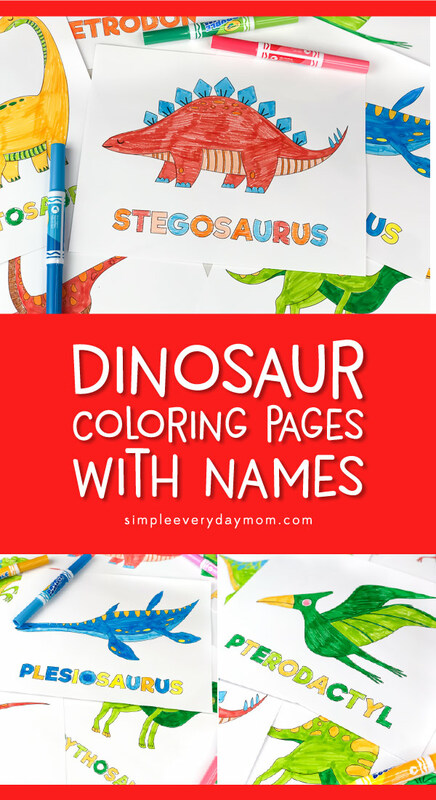 I’m certain both boys and girls will love using these dino coloring pages!